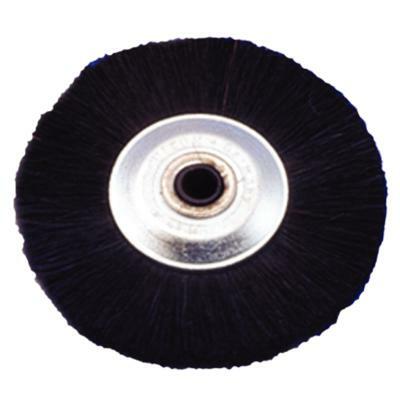 Black Bristle Wheel Brush On Steel Hub - Dixon Inc. Medium stiff bristles mounted on steel hub. Center of hub is nylon. 1-3/4" diameter, 3/16" arbor hole.